Before using for the first time, rinse by hand with warm water or in the washing machine with liquid detergent and warm water. 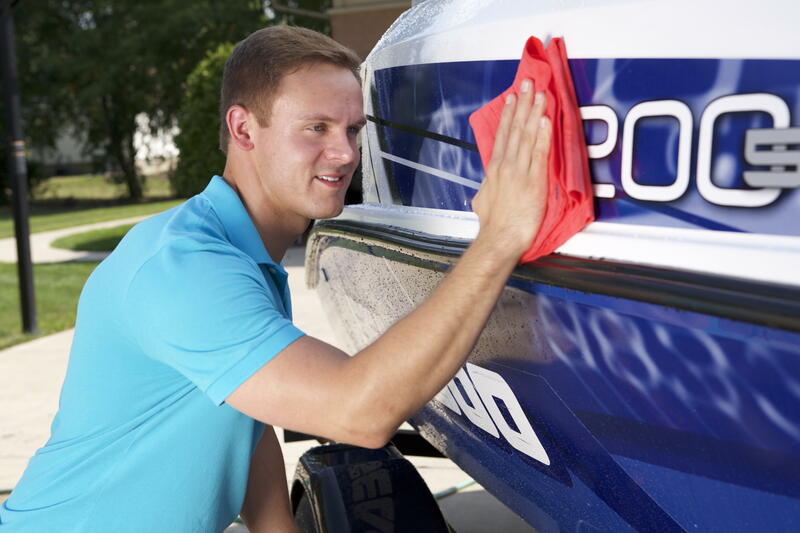 For large surfaces like the hull of a boat, lay The Absorber flat across the surface, and then drag it across to dry. When it’s wet, just wring it out and The Absorber is ready to go again! After use, rinse well, wring out and place in the storage tube while damp. The Absorber’s anti-mold and anti–mildew technology prevents rotting and extends the towel’s life. If you allow The Absorber to air dry, it will become stiff. Simply rehydrate in warm water and it come back to life, ready to use again.